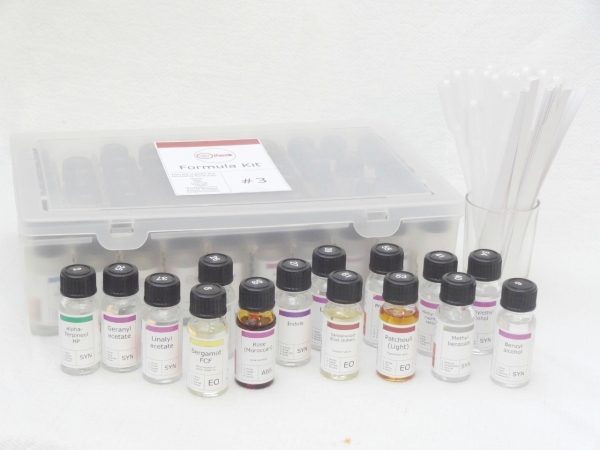 Formula Kit #3 contains all the ingredients to make 2 of the most historically important and popular perfume types (Chypre and Fougere) and x8 key floral bases. 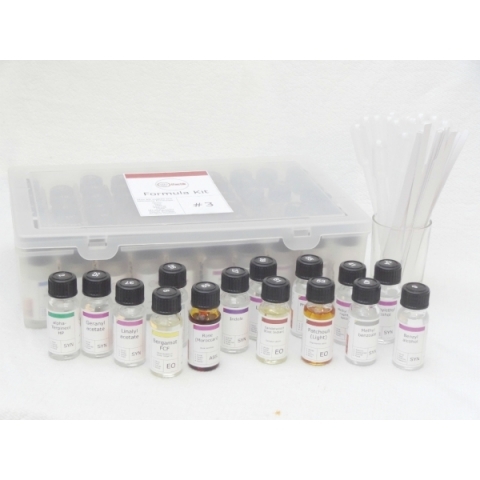 This is a comprehensive kit and can be used to create a wide variety of fragrance types. (Please note this kit is over 2kgs. 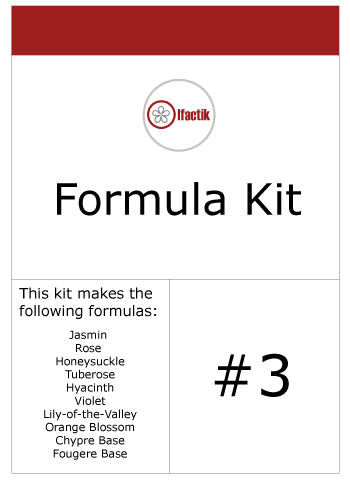 For cheaper shipping costs overseas customers might want to consider the Formula #2 kit, as the additional x8 ingredients that make up the Formula #3 kit can easily be purchased at a later date).